It is widely recognized that when one has a financial interest in a particular issue, one has a conflict of interest and is not independent. The governance system of the World Health Assembly is carried out through its Executive Board, which gives effect to the decisions and policies of the World Health Assembly and acts as the executive organ of the World Health Assembly. The World Health Assembly appoints the Director-General of the World Health Organization and reviews and approves reports and activities of its Executive Board and its Director-General. The Director-General of the WHO is an ex officio member of the Executive Board. The Director-General of the WHO and the legal experts of the WHO approved the WHO position on Elimination of Asbestos-Related Diseases in 2006, stating the the most effective way to prevent epidemics of asbestos-related diseases is by ending the use of all asbestos. In the five years since then, the WHO has presented that position at UN meetings, published various reports stating that position and initiated various programs to implement that position. These documents refer to the World Health Assembly 2007 Global Plan of Action on Workers’ Health. All of these activities have been overseen and approved by the World Health Assembly’s Executive Board. You are, of course, at liberty to claim that the Executive Board of the World Health Assembly, the Director-General of the WHO, and the legal experts of the WHO are all renegades acting illegally and violating the World Health Assembly’s control. The World Health Assembly has had the opportunity at the five meetings it has held since 2006 to chastise and dismiss its Executive Board and its Director-General for, what you allege is, renegade and illegal conduct. It has not done so. Likewise you are, of course, at liberty to dismiss all of Quebec’s and Canada’s medical and public health experts as “emotional” and ill-informed on the harm caused by chrysotile asbestos. As you know, all sixteen of the Quebec government’s Directors of Public Health have strongly opposed the plan to re-open the Jeffrey mine, that you are paid to promote. Here is the letter they sent to Quebec Minister Clément Gignac – and here is their press release stating that “safe use” of chrysotile asbestos is not being practiced in Quebec itself. Here is the link to the two-year study carried out by Quebec government health authorities, showing 0% success rate in “safe use” of asbestos in the few factories in Quebec still using it. You might also wish to look at the the Asbestos Guidance document of the World Bank, hardly an emotional organization. They state that asbestos-containing materials should be avoided in new construction, including construction for disaster relief. You will note that they refer to the studies carried out by Prof. Leslie Stayner, who is co-chair of the panel on asbestos of the International Agency for Research on Cancer and a leading authority on Quebec’s chrysotile asbestos. Unlike researchers the asbestos lobby likes to refer to, such as Prof. McDonald, David Bernstein and Dennis Paustenbach, Prof. Stayner is not funded by the asbestos industry. As well as being funded by the asbestos industry, Prof. McDonald and David Bernstein were also funded by the tobacco industry. Prof. Stayner’s extensive research over many years on Quebec’s chrysotile asbestos has documented how harmful it is to health. His most recent research had led him and other independent health experts to say that the 0.1 f/cc of chrysotile asbestos exposure level, which is the standard across Canada (except for Quebec, where the CSST policy is “zero exposure”), in the US, Europe and other industrialized countries, needs to be lowered. In conclusion, we do not share your views. We do not believe that the WHO is a rogue, out-of-control organization, acting illegally, and we believe that policy on asbestos should be based on the recommendations of independent, reputable scientific and medical authorities, not on the lobbying efforts of those who have no scientific or medical expertise, but who make a financial profit from selling asbestos. The highest policy-making authority in the World health organization is the World health Assembly (Chapter V of the WHO Constitution). On May 23rd, 2007, during the 60th World Health Assembly (WHA), there was a debate where some countries argued for a ban on all types of asbestos. However, asbestos-producing countries, notably the Russian Federation, Kazakhstan and Canada, argued that there is a lack of scientific evidence proving the unsafe qualities of chrysotile. Hence, it was decided to apply “a differentiated approach to regulating its various forms (of asbestos), in line with relevant international legal instruments.” (Objective 1, paragraph 10, of the Global Plan of Action on Workers’ Health (2008-2017). No mention of an asbestos ban remains in the final conference document. To this day, this document remains the official standing policy of the WHA (the highest decision-making authority in the WHO), therefore of the WHO. None of the documents advocating a ban can claim such legitimacy. If you believe they can, please quote very precisely what authority has sanctioned them, at what time it did so, and explain how this authority overrides the WHA by quoting the relevant statutes. This may seem an overly legalistic approach, and yet it speaks to the very nature of our democratic institutions. In democratic countries, elected politicians take decisions and the civil service and armed forces must abide by these decisions, even when they do not agree with them. In international organizations, it is the assembly of countries that take decisions, not the officials, however bright and well-intentioned they may be. When this order of things is not respected, then our institutions are weakened. I have personally read all of the 16 Quebec public health studies, I have printed the main ones and refer to them constantly to be certain that I understand what they say. Have you done this? This allows me to exercise my judgment, as we all should. I believe the basis on which they have decided that safe use of chrysotile in Quebec is impossible is not well-grounded. Their demonstration is weak. They do not explain why the 1f/cc criteria is wrong ; they simply choose to apply another one. Nowhere in any of these documents have I found any evidence (evidence, not opinion or blanket statements) that exposure to chrysotile to the current accepted level of 1f/cc or less would have produced any measurable effect on health. As for the 43 % of construction sites where workers were exposed to greater levels of chrysotile, these worksites were precisely chosen for analysis because they were known to be at risk of having some asbestos materials to be removed. This does not mean the workers on these sites are at risk, because in such conditions, special protective measures are imposed precisely because of the dangers of excessive exposure and of course we agree with this. But these materials where asbestos is loosely bound and often mixed with amphiboles have not been in use for decades and are now being taken out. Modern high-density chrysotile products do not present the same dangers; they can easily be handled safely. Where is the logic in not using safe products today because we still fear the unsafe products of yesterday? I have read all of the statement from all of the medical associations. These statements are strong on opinions and indignation and weak on facts. The scientific basis on which they stand is not clear. 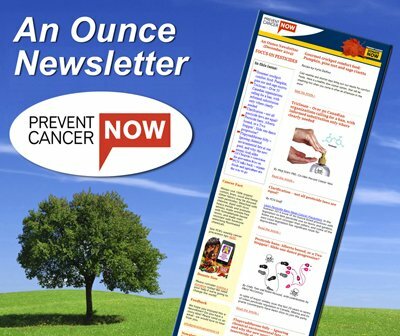 We are hoping for a constructive dialogue with these associations and we are hoping they will eventually accept to comment on the many scientific studies available that support our views. And finally, on the safety of chrysotile-cement products once they leave the factory where they are produced, please tell me what study you can quote that would have concluded they present a danger. If you quote another authority, please tell me what studies (studies, not opinions) this authority relies on. I can tell you with certainty that chrysotile cement products such as pipes are being sold in Canada today and installed and used safely. I can direct you to many houses, buildings, churches, factories, in Quebec that are still adorned with chrysotile-cement clapboard installed decades ago, that is perfectly safe and not at all degraded. I am confident many can be found elsewhere in Canada. The precautions required to handle this material are well-known and very easy to apply by anyone, in developing countries as well as in Canada. As recently as 2003, chrysotile-cement pipes made up as much as 19 % of all of Canada’s water mains. In countries such as India, chrysotile-cement sheets are the only affordable material for tens of millions of people to put a roof over their heads and chrysotile-cement pipes are ideal for providing drinking water and waste facilities. The evidence of the disastrous effects on human health of poor housing and sanitary conditions is easy to find, while the evidence required to support the ban of these chrysotile-cement products seems very elusive, despite the intensive and prolonged efforts of anti-chrysotile activists. I refer you to the Supreme Court of India judgment of January 2011, paragraph 10. We need to get away from emotions and indignation and back to the facts. 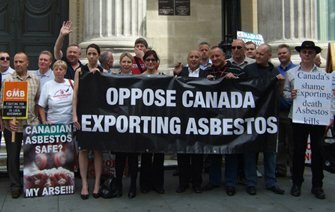 As a public relations agent, hired by Baljit S. Chadha, you are paid to promote the financial interests of Mr. Chadha in exporting asbestos. This clearly represents a conflict of interest. In addition, while you may have many skills as a public relations agent, you have no scientific credibility. As you know, there is not a single reputable scientific organisation that supports your claim that chrysotile asbestos is being safely used in Quebec and in countries, such as India, Vietnam and Bangladesh, where Mr Chadha has exported it for the past sixteen or so years. On the contrary, reputable medical and public health authorities in Quebec and across Canada have condemned Mr Chadha’s claims as misinformation that will lead to loss of life. Documented evidence has repeatedly shown appalling, dangerous conditions under which asbestos exported from Quebec is handled overseas. The government of Quebec’s own Public Health directors have stated that “safe use” of asbestos has been a complete failure in Quebec itself. They have concluded that “safe use” of asbestos is impossible in Quebec as there is no registry of the locations where asbestos has been placed, so that construction and maintenance workers continue to be exposed to asbestos harm. The Quebec government’s top health authority, the National Public Health Institute of Quebec (INSPQ), has published fifteen or more studies on health risks of asbestos and states that “safe use” of chrysotile asbestos is not being practiced in Quebec itself even today. They oppose Mr Chadha’s position that exposure to 1 fibre of chrysotile asbestos to 1 cubic centimetre of air is safe. This is ten times higher the level of exposure to asbestos than is permitted anywhere else across Canada, in the U.S. or in Europe. A recent report by the INSPQ found that at 43% of construction sites sampled, workers were being exposed to higher than this high permitted level of 1 f/cc level of asbestos fibres. A recent two-year study published by the Quebec government showed that chyrsotile asbestos is virtually no longer being used in Quebec, but that in the small number of factories using it, there was a 0% success rate in following required safety standards. At the same time, the Quebec asbestos lobby published a report claiming a 99.8% success rate in “safe use” of chrysotile asbestos in developing countries. It is hard to believe that countries like India, Indonesia and Zimbabwe are light years ahead of Quebec in enforcing safety standards and have a achieved a 99.8% success rate whereas Quebec has achieved a 0% success rate. The asbestos industry itself admits that sawing asbestos-cement building materials with a mechanical saw (a typical activity in construction, we think you will agree) releases extremely high, dangerous levels of asbestos fibres that will lead to loss of life. Workers overseas have no knowledge that sawing asbestos-cement roofing exposes them and the people all around, including children, to serious harm. In India and Bangladesh and the other countries to which Mr Chadha exports asbestos, there are no safety protections in place whatsoever once the asbestos product leaves the factory. Children, in their schools and their homes, are surrounded by broken asbestos-cement materials, a situation we would not tolerate in Canada. Most people who die from asbestos die from having been exposed to asbestos after it leaves the factory and is placed in homes, schools and buildings. This represents 99.9% of the life cycle of the asbestos. Mr Chadha washes his hands of the 99.9% of the life cycle of the asbestos after it leaves the factory, saying that this is not his responsibility. This demonstrates, in our view, unacceptable irresponsibility and a lack of human compassion. The World Health Organisation’s position that there is no safe exposure level to chrysotile asbestos or any form of asbestos is crystal clear, as is its position that the most effective way to prevent asbestos-related diseases is to stop the use of any asbestos. This position is copyrighted by the WHO, published on the WHO website, sent out by its information office and presented at UN meetings. Mr Chadha may not like this position, but it is wrong for Mr Chadha to falsely claim that the WHO supports use of chrysotile asbestos and supports exposure to 1 f/cc of chrysotile asbestos as being safe. This is totally untrue. This not only reflects badly on Mr Chadha but also on the Asia Pacific Foundation of Canada, which has turned a blind eye to this unethical conduct in misrepresenting the WHO position. We ask Mr Chadha to put aside personal financial profit and instead to heed the call of Quebec’s medical and public health authorities and to cancel his plan to open the Jeffrey underground mine. Mr. Baljit S. Chadha is away on business and he has asked me to respond to your letter. Despite intense scrutiny, there is no proven scientific research, and there is no solid scientific evidence, that chrysotile is dangerous when used under modern, controlled conditions. If you have access to any scientific research (not opinion papers but scientific research papers published in the peer-reviewed section of scientific journals), please send them to us. Because up to now, no one has found any. Chrysotile can very well be handled safely, as has been the case in the Asbestos mines and mills of Quebec for some 25 years now, and as is the case when people install modern high-density products that contain chrysotile; such products are being installed every year in Canadian cities such as Montreal and Toronto and they are completely safe. As for conditions in the developing world, Mr. Chadha travels there regularly, he visit the plants where he sells and he assures you that safety conditions there are equivalent to those found in Canada. As for the World Health Organization, you will find in Paragraph 10 of Objective 1 of the Global Plan of Action on Workers’ Health (2008-2017), adopted May 23rd by the World Health Assembly, which is the WHO’s top policy-making body, a very clear statement recommending «a differentiated approach to regulating its various forms (of asbestos), in line with relevant international legal instruments». There was a debate during this assembly where some countries argued for a ban. But the WHA decided against the ban as there is a lack of scientific evidence proving the unsafe qualities of chrysotile. This is the standing WHO policy, despite the incessant agitation of anti-chrysotile activists (including some within the WHO) that are trying to make you believe otherwise. We welcome the opportunity for a dialogue. Please do not hesitate to write to us and we will answer all questions, as we always do.